The Wabash College Alumni and Parent Relations Office has launched a presence on the professional networking site, LinkedIn, and already nearly 550 alumni have connected with one another. "We’ve had hundreds of requests from alumni who wanted to identify ways in which we could foster a network of Wabash men and LinkedIn has provided the perfect vehicle for doing that," said Alumni Director Tom Runge ’71. 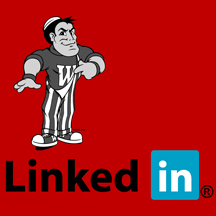 Click here to join the Wabash LinkedIn network. When you join, you create a profile that summarizes your professional accomplishments. Your profile helps you find and be found by former classmates, colleagues, clients, and partners. You can add more connections by inviting trusted contacts to join LinkedIn and connect to you, which can further extend the Wabash reach. "We’ve had a great response since we launched just over a week ago with nearly 550 alumni already on board," added Runge.